Learning Experience December 4/5 – The Civil War Home Front | AMERICAN HISTORY RULES! I can compare and contrast the challenges and contributions on the home front in the North and South. Away from the fields of battle, the home front was an important part of the Civil War … and also felt the greatest impact from the conflict. We will be examining the home front in class Thursday and Monday. To prepare, your task is to spend some time with the materials below and record important concepts and observations on how the war effected the people on the home front, both North and South. Make a copy and use your document to compare the challenges of life on the home front on both sides of the conflict. You should be able to get some great notes from the following sources … pick and choose what works best for you for about 25-30 minutes. Check out the Essential Civil War Curriculum’s The Home Front: North and South by Roberta Baxter – lots o’ good stuff! Women in the Civil War from the CWPT! Where was the first major draft riot? You will be surprised …. How did enslaved people support the Confederacy? Good question – let’s find some answers! 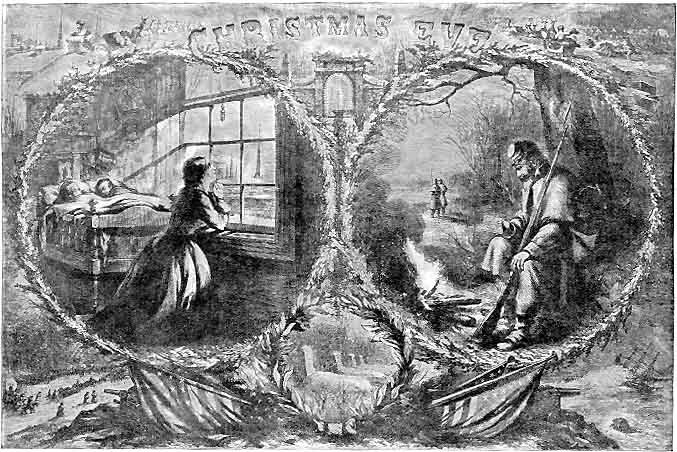 Interested in Christmas During the Civil War? How about Children in the Civil War? describe the economic impact of the Civil War on the Northern and Southern home fronts. discuss the various roles of women in the Civil War. discuss how the war affected African Americans in both the North and the South. discuss the economic impact of the war on both the North and the South. describe the views of the Copperheads – you can learn about them here as well! describe the controversy over conscription and the challenges in the New York Draft Riots – more here too!